For our annual Christmas talk, we are welcoming Curator Steph Mastoris of the National Waterfront Museum. As a social history curator he has been fascinated for over two decades by the custom of sending Christmas greetings to family and friends, and the billions of cards that are produced. Get a sneak peak at what to expect from his Christmas talk next Tuesday. The Christmas card has been very close to the heart of the British postal service from just after the introduction of the Penny Post in 1840. 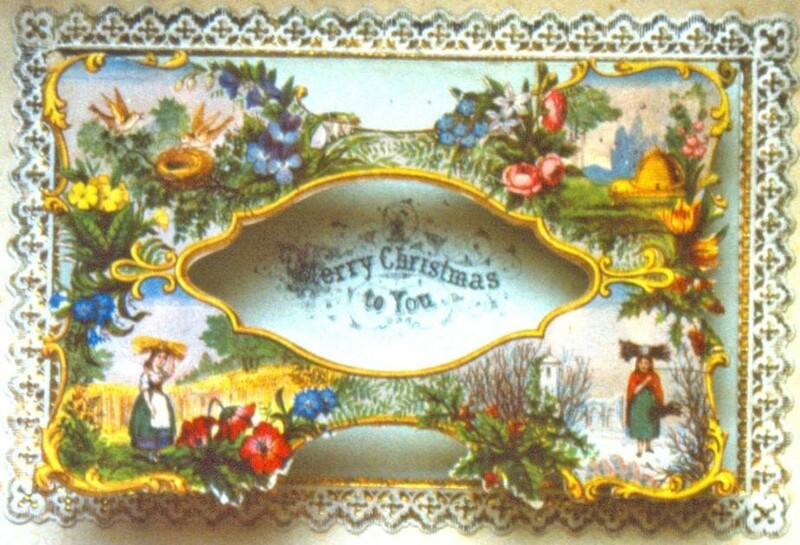 Moreover, the Half-Penny Post of 1870 was an important catalyst for the widespread popularity of the Christmas card. Starting as a wealthy middle class novelty, the tradition of sending Christmas cards became and still is a massive activity. 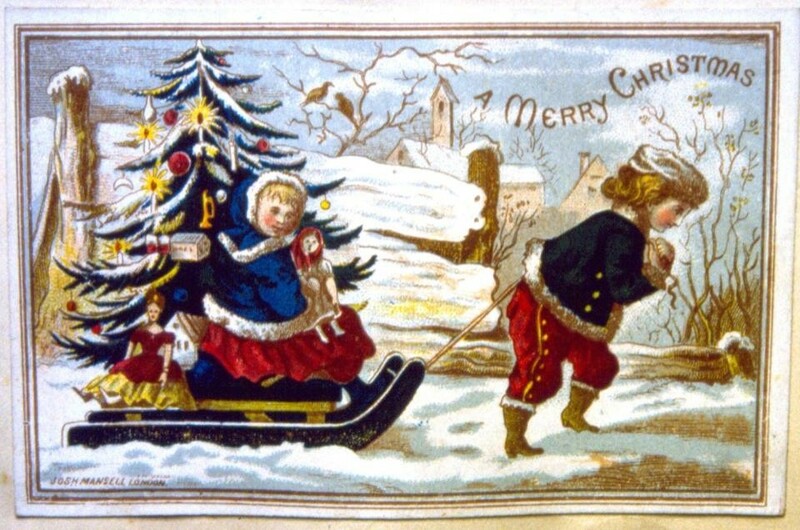 In my talk I will discuss how very recent research is suggesting that the first published Christmas cards were produced some years before the famous one commissioned by Henry Cole in 1843. As the history of the Christmas card is fundamentally about how people have used them, I will talk about projects that look into how we use the postal service over the holiday season. One of the current projects, People’s Post, gives you the chance to share your memories of receiving cards and gifts in the post. After the talk, there will be an opportunity for the audience to contribute their stories. The information provided may well get built into the interpretation of the new Postal Museum when it opens in 2016! Join us next Tuesday (2 December) at 7pm at the Phoenix Centre to find out more! 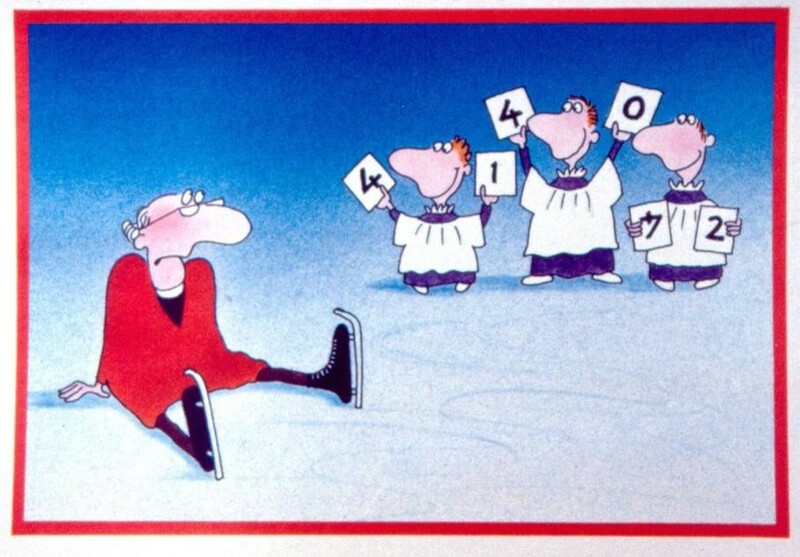 An example of the first British Christmas card. The Christmas card was designed by John Callcott Horsley RA, from an idea by Sir Henry Cole (founding director of the Victoria and Albert Museum).The initial print run was for 1000 cards. The first edition of cards was lithographed and hand coloured by a professional colourer named Mason. Surplus cards from the original print run were sold under Henry Cole’s pseudonym of Felix Summerly for one shilling each. This card is one of these surpluses. See larger images of all the items in our Virtual Advent Calendar on Flickr.